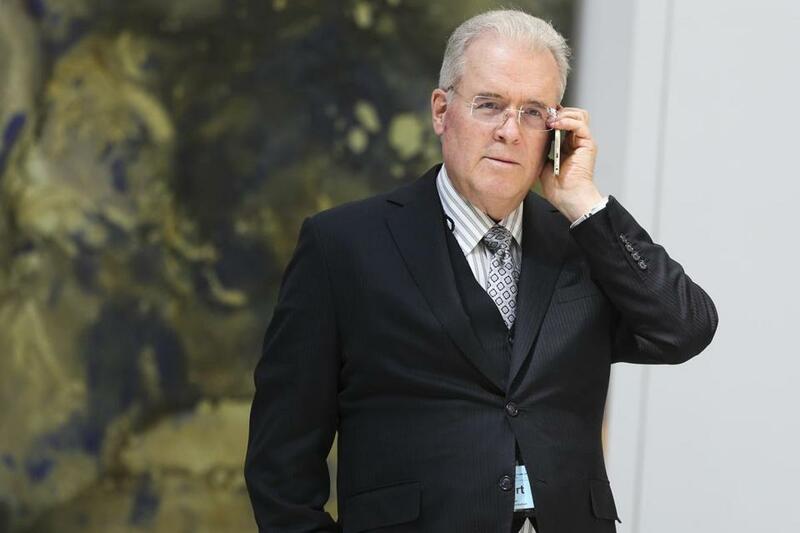 The Mercers bring their politics, and millions, to Mass. Billionaire Robert Mercer spoke on the phone during the 12th International Conference on Climate Change in March. WASHINGTON — The radio attack spots, played during Red Sox games, attempt to sow some doubt. Does Senator Elizabeth Warren discriminate against women? Does Warren really care about student debt and bankruptcy? They attempt to paint Massachusetts’ populist senator as phony and an elitist, a go-to playbook for her political opponents. But this time the attacks are coming from someone new: Robert Mercer, a New York billionaire who is trying to remake American politics and who bankrolled former Trump chief strategist Stephen Bannon’s Republican revolution. Mercer’s methods are anything but subtle. One political operative described Mercer’s approach to politics as a “trail of tears” tactic, a reference to President Andrew Jackson’s forced removal of Native Americans from their homelands. Given political realities — including Warren’s massive fund-raising advantage and Massachusetts’ liberal status — Mercer’s intent isn’t really to defeat her in the 2018 Senate race, according to three people with knowledge of the family’s intentions. 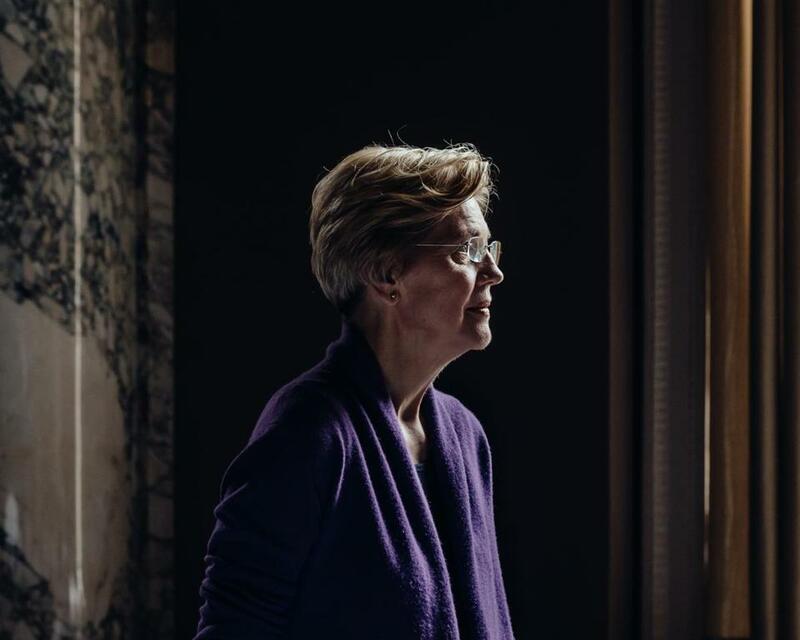 Instead, Robert Mercer and his politically minded middle daughter Rebekah have a longer-term goal: They want to sand down some of Warren’s gloss ahead of an expected presidential campaign in 2020. Their investment so far in the Bay State — a $150,000 donation to an obscure local super PAC — is hardly enough to redefine a popular senator in her own state, much less the country. But two people familiar with the Mercer family say that they intend to branch out beyond radio and pump far more cash into the effort as the campaign progresses. The money is coming to the state via a super PAC called Massachusetts First, which was created in March. The group’s treasurer, Charles Gantt of Red Curve Solutions, a GOP firm in Beverly, declined to comment. Massachusetts First has only three other donors, according to federal records made public in October. They are Robert L. Reynolds, the CEO of Boston’s Putnam Investments, who gave $25,000, along with two limited liability corporations that gave $30,000. Reynolds declined to be interviewed for this story. The specter of big sums of money flowing into deep blue Massachusetts from the Mercers is being viewed warily even by the Massachusetts Republican Party, despite the fact that other generous national donors are likely to be uninterested in a race that many view as not competitive. Terry MacCormack, a spokesman for the state’s Republican Party, would not answer a question about whether the party embraces their effort, and instead sent a nonresponsive statement outlining the role that the party would play in the Senate race. When asked to clarify, MacCormack, declined to elaborate. The Mercer-style politics certainly clash with Massachusetts Governor Charlie Baker’s nice-guy brand. “The Mercers have been flying under the radar,” said Ray La Raja, a political science professor who closely follows money in politics at the University of Massachusetts Amherst. But for La Raja, the troubling aspect of the family is that he considers them political amateurs bent on ripping up a political system. The Mercer family declined to comment. 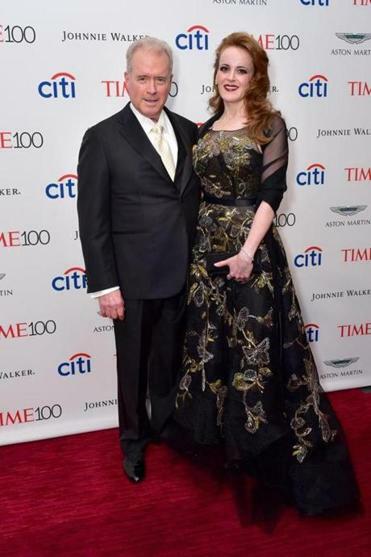 Robert and Rebekah Mercer at the 2017 Time 100 Gala in April. The family has emerged as the Trump era’s most prescient and sought-after donors for the anti-establishment and ascendant wing of the Republican Party. They’re the financiers to the wing of the party that’s trying to smash the establishment, and they’re also among the most generous: In 2016 they gave more than $20 million in disclosed donations to various politicians. They’ve also changed the national landscape and created a new, harsher political discourse via money and influence that’s harder to trace. That’s largely thanks to their investments in the right-wing Breitbart News and their sponsorship of the organization’s executive chairman, Stephen Bannon. The family also funded some of the most effective opposition research against Hillary Clinton in 2015 via the Peter Schweizer book “Clinton Cash,” laying the groundwork for Donald Trump’s rise. And they partially own Cambridge Analytica, the data company that Trump’s campaign used to target political ads — and was in the news last week because a top executive from that firm reportedly reached out to WikiLeaks’ Julian Assange seeking e-mails from Clinton’s private server while she was secretary of state. The Mercers are relatively new to the world of bankrolling political candidates. Robert Mercer, 71, spent years working a mid-level job at IBM, and only became fabulously wealthy later in life when he joined Renaissance Technology, which runs several high-return hedge funds that rely on algorithms and mathematical models to spot inefficiencies and patterns in the market. Mercer is one of four co-CEOs of the firm (a group that includes James Simons, who is a major Democratic donor). Mercer almost never speaks publicly, though he’s famous for his annual Christmas costume party. Last year the theme was “Heroes and Villains.’’ Donald Trump, then the president-elect, came dressed as himself. Trump aide Kellyanne Conway, a Mercer ally, dressed as Superwoman. The family has funded right-wing think tanks like the Heritage Foundation for more than a decade via their private foundation. But they began attracting attention from a wider audience in 2014 when Robert Mercer gave $2.5 million to a super PAC operated by the Koch brothers’ political network. It was more than either Charles or David Koch donated. The Mercers’ favored candidate going into the 2016 Republican presidential primary was Ted Cruz, the Texas senator. But they quickly moved to Trump when he became the nominee — and they pushed for two key appointments to his campaign. 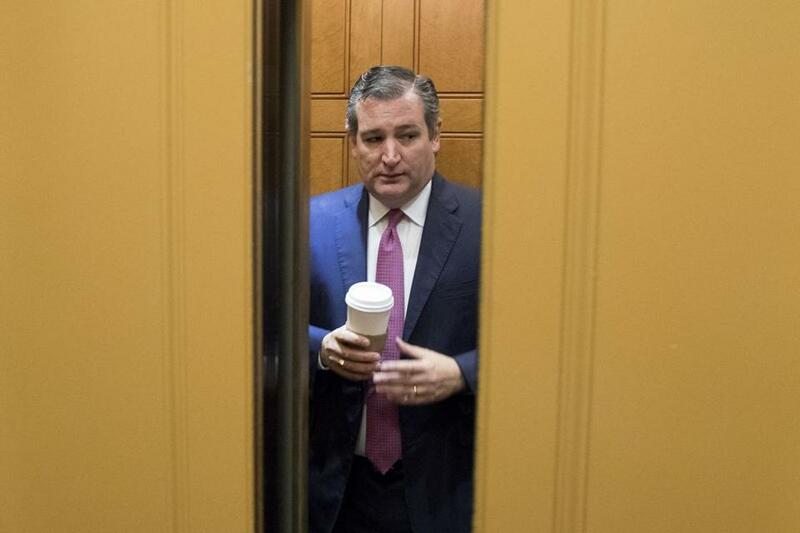 Senator Ted Cruz, Republican of Texas, was originally the Mercers’ favored candidate. Conway, who had done polling for the Cruz super PACs the Mercers financed, became Trump’s campaign manager for the final three months. She is now counselor to the president in the White House. Bannon also joined Trump’s campaign in the last stretch, leaving Breitbart News to become the campaign’s chief executive officer, then plotted the nationalistic takeover of the White House. These days they have turned most of their political focus to bankrolling a roiling civil war in the Republican Party — which annoys some Republican donors and operatives who would prefer that they keep their focus on Democrats. “I wish we would look at guys and girls with the blue shirts on instead of our own guys and girls on our team with red shirts. I wish they would start targeting guys and gals on the other side. But it is what it is,” said Mark Braden, a former campaign manager for Senator Bob Corker of Tennessee, the chairman of the Senate Foreign Relations Committee and one of the growing list of members of Congress who are not seeking another term in part because of the political environment funded by the Mercers. Last week the family and aligned groups claimed to collect another GOP scalp when Republican Senator Jeff Flake of Arizona decided not to seek a second term in office. The Mercers have been funding Flake’s primary opponent, Kelli Ward, shoveling $300,000 into a super PAC supporting Ward in July. They backed her last election cycle too, providing $700,000 to her effort to unseat Senator John McCain. Ward has suggested in the past that McCain’s campaign was trying to blow up her car, and she mimics Trump’s populist message. “I’ve fought against GOP Establishment hacks who incorrectly believe the solution to problems created by big government is more government,” Ward writes on her website. The Mercer family also had strong ties to a group backing Alabama Senate candidate Roy Moore, who successfully unseated Republican Luther Strange in a primary. Moore is known for taking extreme views, including that NFL players protesting by taking a knee during the national anthem are breaking the law. Could the Mercers use their money to back a candidate challenging Senator Elizabeth Warren? So far in Massachusetts, the Mercers have not financially backed any Republicans readying a challenge to Warren, according to federal disclosures. But the billionaire family has shown some interest in the GOP field lining up to challenge Warren, including talks with Ayyadurai, who is running in the primary to take her on. Ayyadurai said he reached out to Mercer in the last six months via e-mail. “People said: ‘Bob will never write you back.’ He wrote me back in a day,” said Ayyadurai, who said he subsequently traveled to New York to meet with Mercer and his daughter Rebekah. The two men connected over a shared passion for technology, skepticism about climate change, and a general sense that the establishment is trying to stamp out innovation.